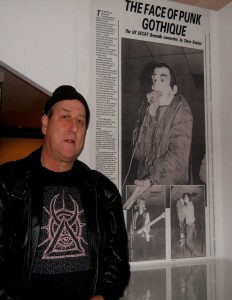 A giant size poster of the seminal Sounds article “The Face Of Punk Gothique” and The Black 45 appears at the British Library, both shown as exhibit’s in the Terror and Wonder: The Gothic Imagination exhibition. Visit the Luton Community heritage site to find out more ..Spon investigates…. This entry was posted in Media, News, Topical and tagged british library, punk, punk gothique, sounds, spon, uk decay by Mr Phibes. Bookmark the permalink.